The OPEN youth venue is a unique project, providing dedicated facilities for 13 to 25 year olds including a live music venue, nightclub, recording studios, a café and learning zone featuring a three-storey climbing wall, a walk-in clinic, offices for local youth agencies and conference facilities. 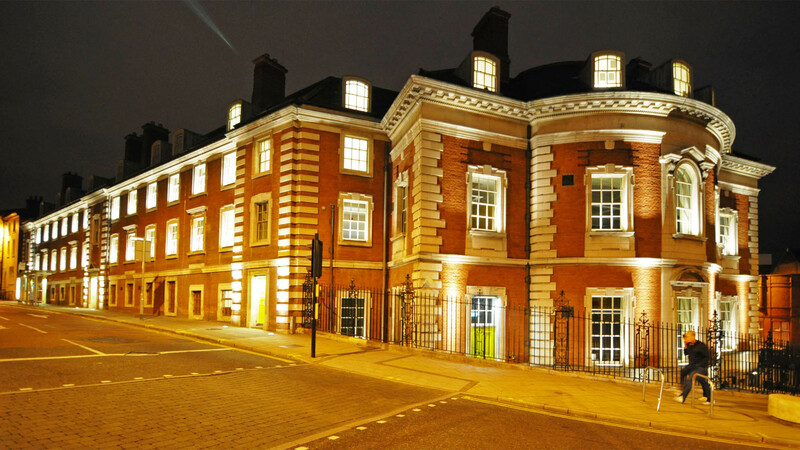 The venue was converted from a Grade II listed former bank, originally built in the late 20’s. AJA was appointed in early 2006 and provided acoustic design from feasibility stage, through construction to completion. 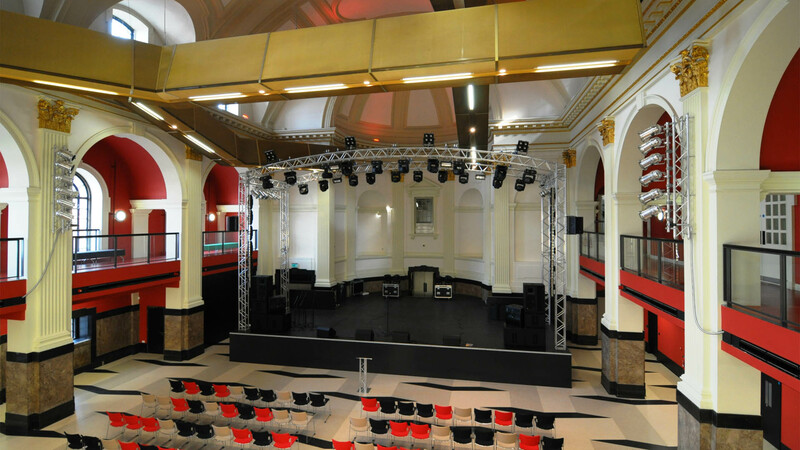 Acoustically, one of the biggest challenges in converting the building was devising a way to tame the vast banking hall, with a reverberation time of over 5 seconds, to create a first class live music venue. 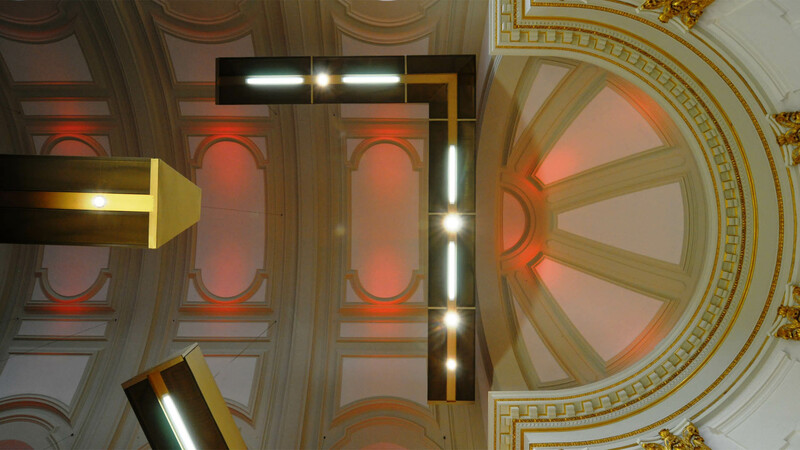 The solution was a series of innovative and visually striking suspended baffles. 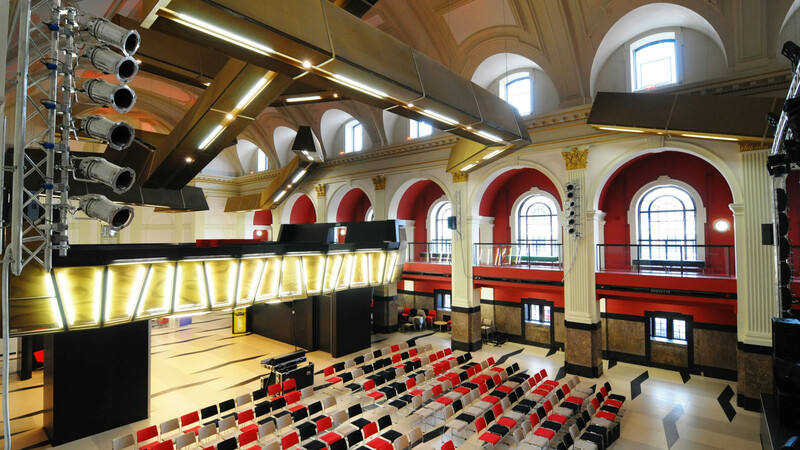 These provided acoustic absorption and lighting for the Hall, leaving the original barrel-vaulted ceiling untouched. We also provided a performance specification for the sound systems and conducted detailed noise break-out studies to satisfy the licensing requirements. Elsewhere in the building, with so many diverse facilites on offer and many of these potentially in use at the same time, providing adequate sound insulation between areas was critical. 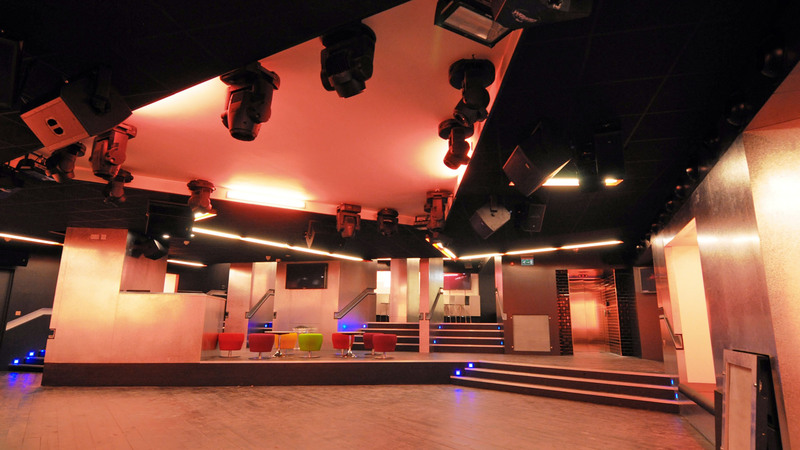 Our work included upgrading the lightweight timber floor structure between the proposed nightclub and café / learning zone above, designing acoustically isolated floated rooms for the recording studios to fit between the existing load-bearing masonry walls and specifying high-performance in-fill partitions, door lobbies and glazing to acoustically separate the Hall from the adjacent nightclub, café, conference wing and Connexions centre. OPEN launched fully in October 2009 and has won a number of awards including several RIBA awards.